The danish Remic D5400 is available into version: live and studio. 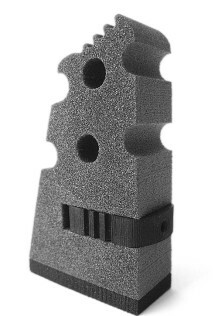 It’s mounted into a foam block that wedges under the tailpiece. The microphone capsule needs 48V phantom power, and has a frequency response from 6 – 23KHz.